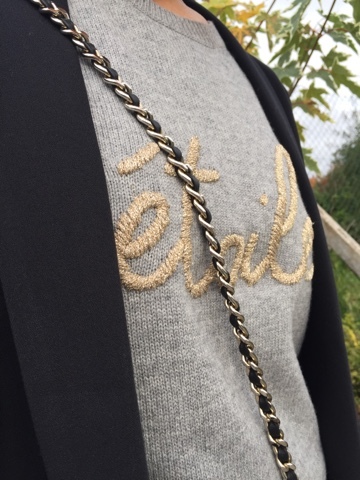 This etoile jumper from the hush winter collection deserved a blog post all of its own. 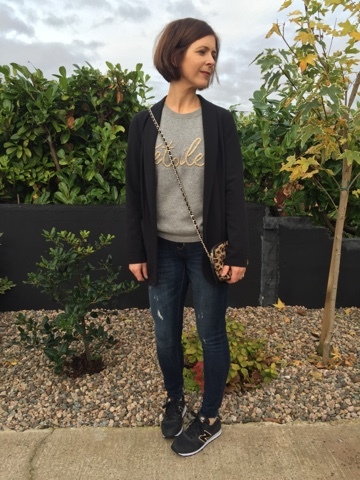 I'm not usually a fan of regular shaped jumpers or sweatshirts with waistbands but this one sits so well and doesn't make me look heavy on the waist like a lot of jumpers do. Testament to its popularity is the fact that I've worn it on four separate occasions since it arrived with me 10 days ago. I love when you find something that you can happily wear every day and not get bored of. Sadly this doesn't make for very interesting blog content so I had to force myself to not wear it the other six days! I also struggle with clothing that has writing on it so I'm surprised that I've not been bothered by the gold etoile across the front. There's something quite subtle about it and I think the fact that it's gold means that it feels more like an embellishment than a big slogan or message. 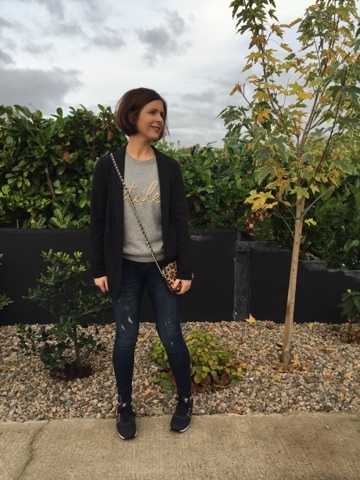 Styling it very simply in this blog post with some distressed jeans, trainers, an unstructured blazer and a little bit of leopard. Sizewise, I ordered the size S and it's a perfect fit. Not on the big side as some hush items can be. I've not washed it yet so can't comment on that. I'll update the post when I do. 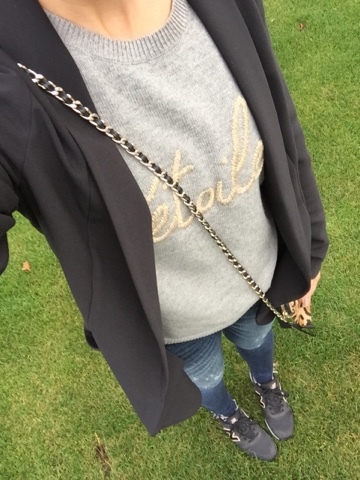 Disclaimer – I was gifted this jumper by the team at hush but was not obliged or paid to blog about it. Thank you for supporting the brands that support this blog.